My husband and I had an impromptu dinner date on Monday night. It’s a long story that I won’t bore you with but let’s just say that we found ourselves running a last minute errand that took quite a long time, and that during it we ended up super hungry. We hit up a Mexican restaurant that we’d previously ordered take-out food from. The food was so-so the first time, but you can’t really judge a restaurant solely on its take-out food (unless it’s specifically a take-out joint). The dinner at the place was tasty but it really didn’t wow us. It’s actually been a while since a restaurant has wowed me. Please tell me that’s not because I’m getting older and more picky! My husband’s theory is that my awesome cooking is superior to restaurant meals. Yes, let’s go with that. 🙂 I’d rather have these homemade vegetarian enchiladas than the ones from the other night because they are way tastier (and cheaper). 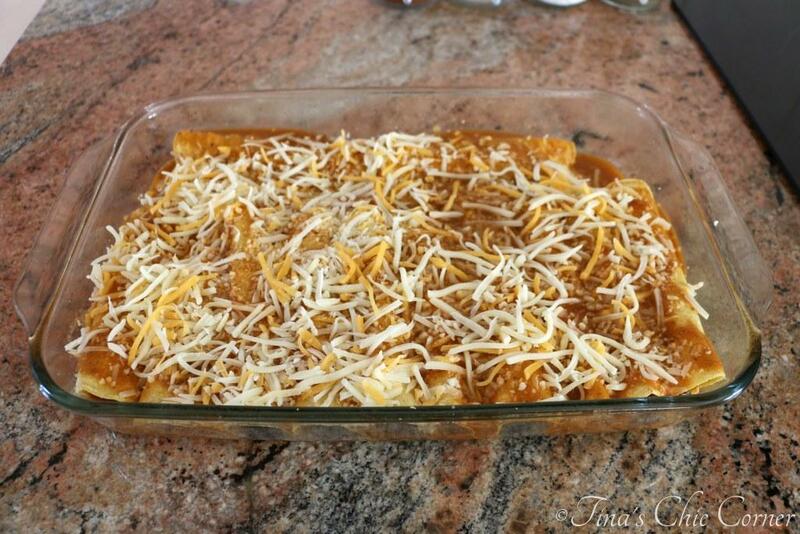 These enchiladas are filled with black beans and cheese, smothered in a ranchero sauce and topped with more cheese. In a saucepan over high heat, combine the chilies and water. Bring it to a boil then reduce the heat and simmer for about 5 minutes. The goal here is to soften the skins of the chilies. Remove the saucepan from the heat and let it stand for about 5 minutes. Drain the chilies and reserve 1 cup of the cooking liquid. In a medium pan, over Medium heat, heat the oil. Add the chopped onion and cook until tender. Stir in the minced garlic and salt and cook for another 1 minute. Pour the onion mixture, chilies, the 1 cup of reserved liquid, lime juice, and red pepper flakes into a food processor and blend until smooth. Grease a 13 x 9 inch baking dish and set it aside. In a large bowl, combine the black beans, 1 cup of the shredded cheese, and half of the green onions. Spread 1/2 cup of ranchero sauce in the bottom of the prepared baking dish. In a medium pan, over Medium heat, heat 1 corn tortilla at a time for 10 seconds on each side. Roll up the corn tortilla and place it seam side down into the baking dish. Repeat steps 5 through 7 for the rest of the enchiladas. Pour the remaining ranchero sauce over the filled tortillas. Bake it in the preheated oven for about 15 minutes or until the cheese has melted and is lightly browned. Sprinkle the remaining green onions on top. Have you ever cooked with dried chilies before? This was my first time and it is pretty cool how they come back to life with just some boiling water. Seriously, they are photographic gold, just look at that amazing texture. 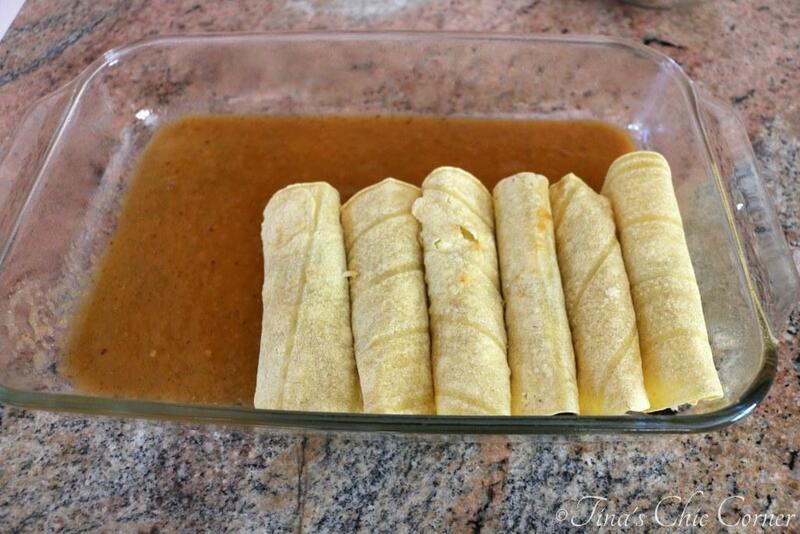 I’ve made enchiladas before using canned sauces, which have come out superbly. However, this time I felt like going the extra mile and making the sauce. Ranchero sauce is a tomato based sauce with chilies, onions, and seasonings. This ranchero sauce is slightly spicy. If you want to kick it up a notch, simply add more chilies and/or crushed red pepper. If you are feeling brave you can also use cayenne pepper to add heat. Crushed red pepper is most commonly used in Italian dishes, but it’s a great way to add heat to any cuisine. If you’re like my husband, who likes it very spicy, you can also add some Tabasco Chipotle Pepper Sauce as another delicious way to tantalize your tongue with toasty-ness. The corn tortillas will soak up all this yummy ranchero sauce giving you moist and tasty enchiladas. This recipe involves multiple steps but they are all pretty easy. 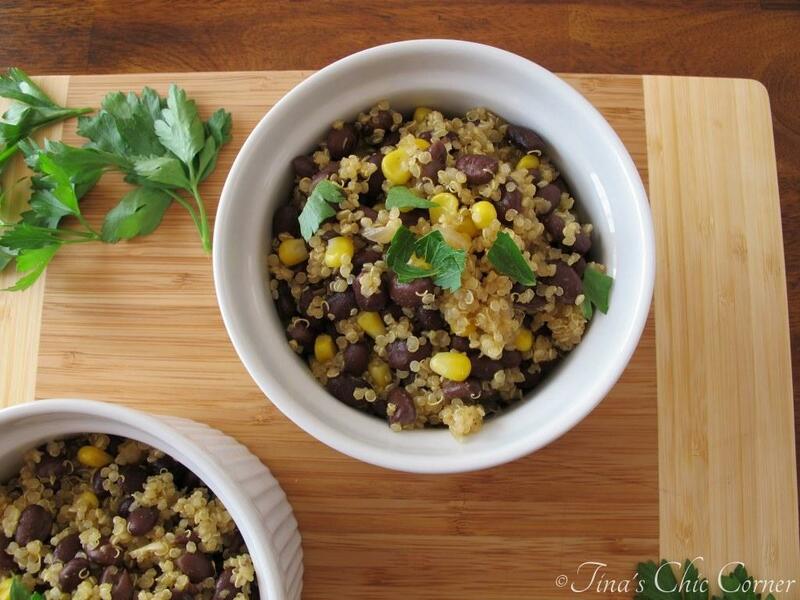 My husband loves black beans and they’re the quintessential bean in Mexican cuisine. 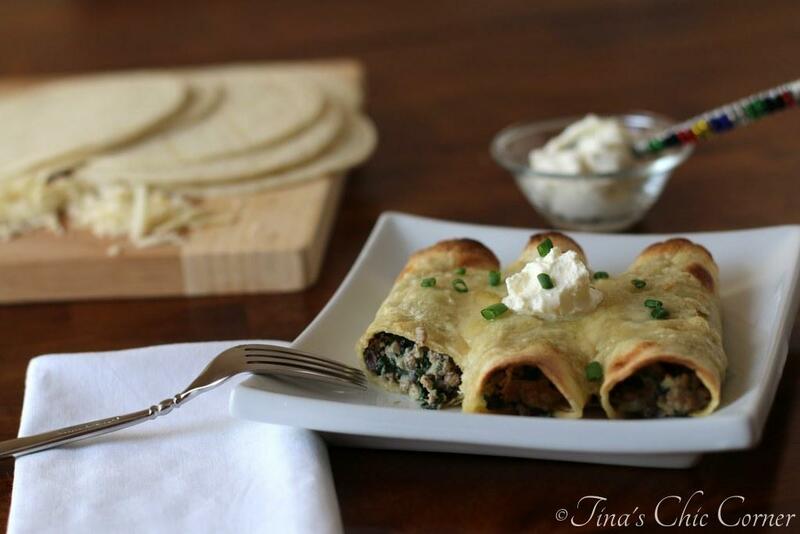 They are a fantastic way to make enchiladas a vegetarian delight. These enchiladas are just as delicious as the restaurant version but for the price of theirs you can have about 400 of these. Here are some other fun Mexican meals. Oh I adore those dried chillies… or jalapeños. They are the best, I found a site that would ship the smoked variety to Australia, but they went broke so I have struggled to source a new company. Anyways, big fan of enchiladas, especially the meat variety, I just can’t get into black beans. 🙁 Great that you can make around 400 at home v the price of 1 in the restaurant, guessing you won’t bother going back?! Boo, no dried chilies or black beans?! You can definitely use chicken or beef instead. Such as pretty dish. Look like a great comfort food, and I can’t wait to make them.Do you think it would be ok to add a little chicken to the bean mixture? I could literally live on this dish, love it! These look amazing. I have been wanting Mexican food for days and now after seeing these pictures my tummy is grumbling for them. Pinning! Delicious! I’m going to pin this to make at a later date. I love when a restaurant wows me, so few and far between!! Us food bloggers have high standards. These enchiladas sound great, love blacked beans! I’ve made these before and they are great!! Way better than 99% of restaurant enchiladas, that’s for sure! 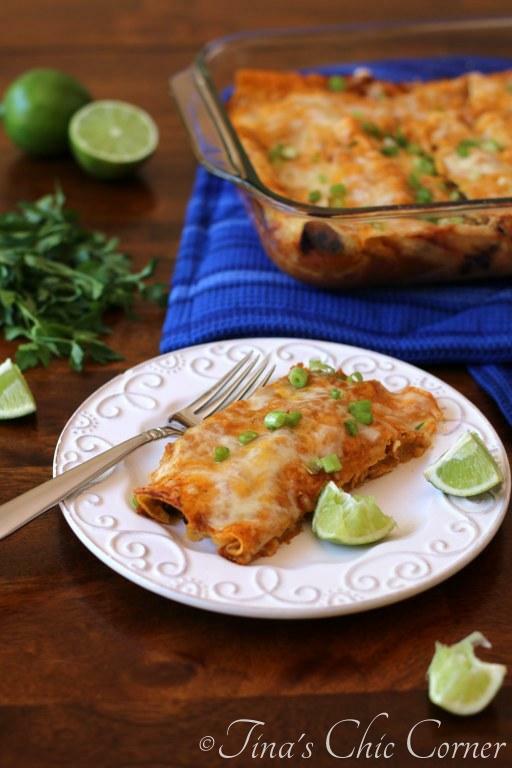 I could eat enchiladas all day every day! haha I love em! These look amazing – all that cheese and I love that they are vegetarian too! I also find myself being unimpressed by certain restaurants food-wise – since I moved to Belgium I have been unable to find a single good Mexican joint! Meaning there has been a lot more Mexican cooking at home 😉 ! I am so impressed by this simple yet delicious looking recipe as well as the dried chilis (need to keep my eye open for some!). 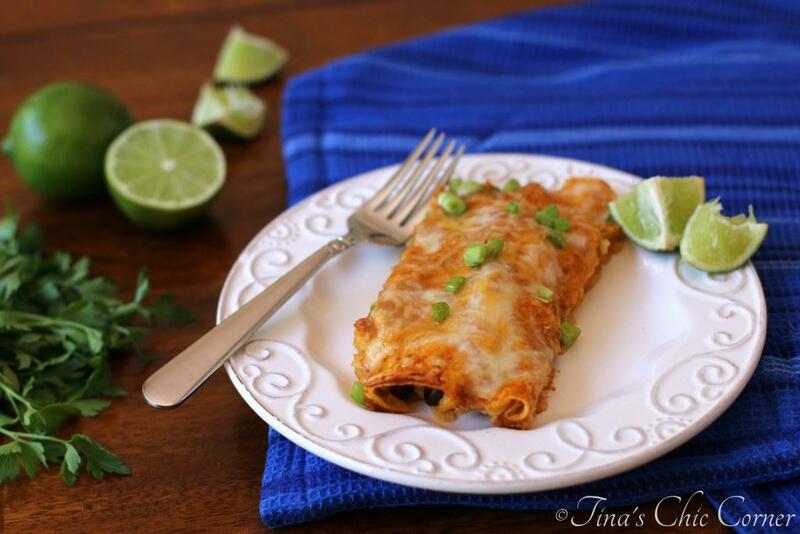 I can’t wait to try your spin on Enchiladas (yummy!!)! Pinned for later! 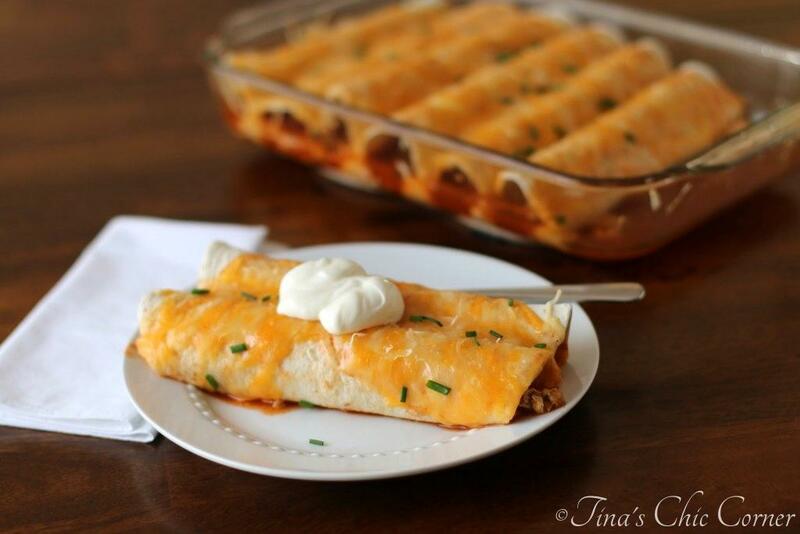 What a great enchilada dish! 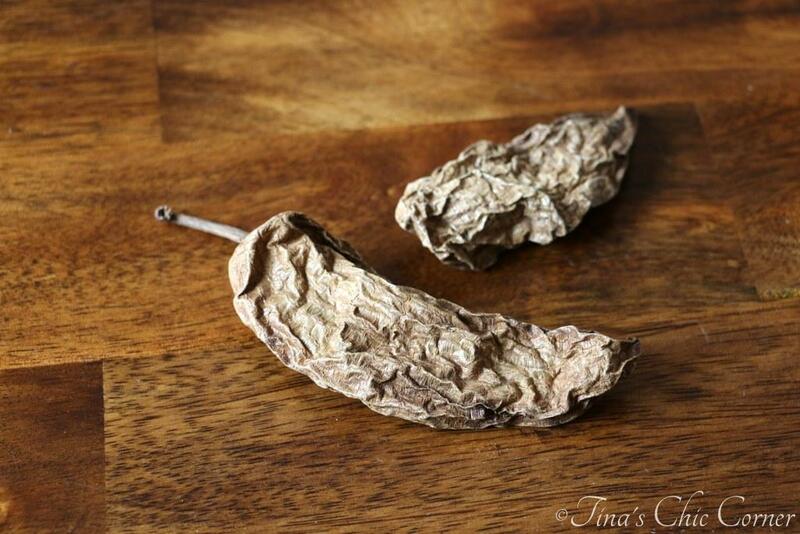 I’ve never seen dried chilis before…very interesting! Love the rachero sauce, too! We love enchiladas. I usually make them using canned sauce but I want to definitely try your version. Pinned! My husband is obsessed with tacos and enchiladas…they’d get along perfectly!